As we look forward to 2009, we thought it would be nice to look back at our top five stories of 2008. Here they are, ranked in order of most visited, starting with number 1. The Dangberg Home Ranch Historic Park is one of Carson Valley’s first and largest ranches. The ranch was home to German immigrant Heinrich Friedrich Dangberg who founded the site in 1857. Christmas at the Dangberg Home Ranch has been reconstructed with historic artifacts, toys and decorations. Park Interpreter Mark Jensen narrates this video and describes the Ranch’s Christmas time exhibit. The 2009 White Pine County Fire and Ice Festival, held at Cave Lake State Park January 17-18, is going to be a sight to behold. This year the festival will begin with the 100th birthday celebration of this nation’s best preserved short line railroad with steam engine #93. 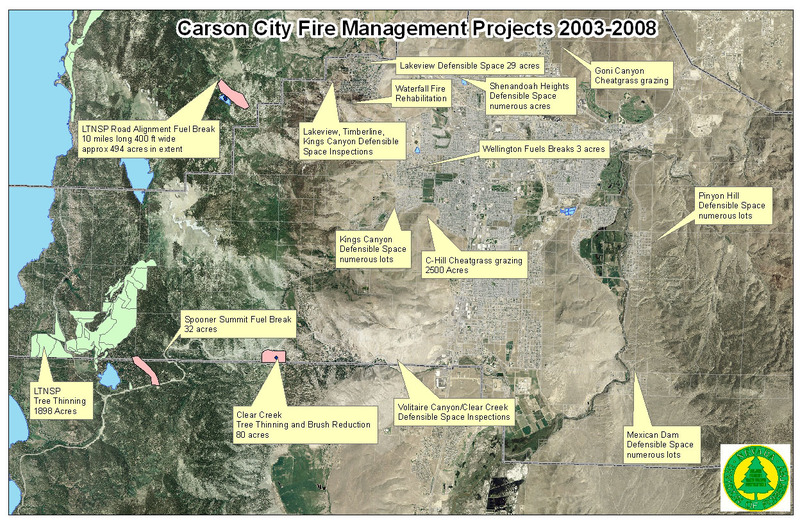 Carson City Fuels Projects, 2003-2008. Click to enlarge. Cooperation across state lines between two conservation districts is helping residents in the Lake Tahoe basin protect one of America’s best-known water bodies. Lodged in the Sierra Nevada Mountains, Lake Tahoe was developed rapidly and not always wisely in the mid-20th century. With multiple jurisdictions in the basin, including two states, cooperation is the key to making conservation gains. The Mason and Smith Valley conservation districts in Nevada participated in a Streambank Soil Bioengineering Technical Training Workshop. The site was experiencing drastic bank erosion. Controlling noxious weeds requires watershed approaches and strong partnerships. Two conservation districts have joined forces with local, state and federal partners to get the work done. Gaining a foothold in efforts to eradicate noxious weeds is like herding cats. They’re not always where you want them to be. That’s one of the lessons learned by partners in noxious weed control on the Walker River basin in western Nevada. But the weeds may be corralled by a project that focuses on pinpointing where they are and then eradicating them a watershed at a time. The first step is developing a comprehensive map. “We’ve known for some time that a comprehensive map is not available,” says Michelle Langsdorf, district manager of the Mason Valley and Smith Valley conservation districts. 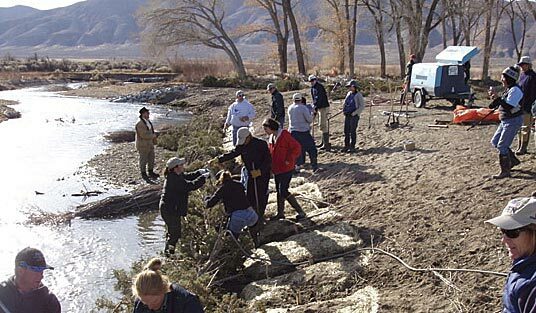 The districts chair the Walker River Basin Cooperative Weed Management Area (CWMA), comprised of landowners and local, state and federal agencies. “All the stake-holders in the basin got together to find those gray areas where noxious weeds aren’t targeted or funding is not available. Those are the areas where weeds thrive most,” she says. MINDEN, Nev. — The Dangberg Home Ranch Historic Park, operated by the Nevada Division of State Parks in collaboration with Douglas County, invites the public to attend a celebration of the holidays. The event will feature an exhibit of antique toys, Christmas cards and decorations from the park’s extensive collection. Visitors will enjoy hearing music played on the Dangberg’s 1916 Knabe and Company grand piano. Displayed exhibit items will include: a variety of stuffed animals, dolls, card games and other toys from the early decades of the 20th century, as well as board games, construction sets and other play items from the 1930s and 1940s. 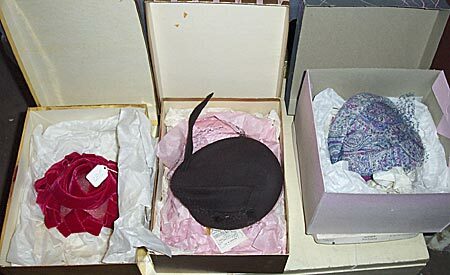 These items are examples of the childhood play from two generations of the Dangberg family. You are currently browsing the Nevada Dept. of Conservation & Natural Resources News blog archives for December, 2008.